To cut to the chase, Arkham City is very similar to Arkham Asylum, which you may recall my praising as the best game of the year. That said, I’ll mostly focus on how the sequel is different and in many ways not as great of an experience as the first. For one, it felt short – I beat the game plus the bonus Catwoman content and still only have 50% marked complete. This makes the game feel made up of less story elements and more Riddler filler (Granted, the new side quests are better and more interesting filler than pure collectables). It seems a simple formula. I couldn’t get enough of the riddles in the first game so it would go to figure that a whole bunch more could be stuffed in, and even more variety could be given to them. However, the Riddler collectables are not as nice in the sequel. The world is bigger and the number of collectables is daunting. Before you think I’m simply complaining about extra content, know that it is less convenient as well. Going into the menu doesn’t start you in the zone’s collectable screen. In the first game you can think, "What do I need to collect in this area" and open the menu and you will see a list of what remains. In Arkham City, you need to manually navigate to the proper submenu to find a less readable screen. The problem is that players don’t know what arbitrary borders are placed on the open world zones and don’t even know which submenu to look at. Then there are a number of “Augmented Reality” gliding segments that are impossibly frustrating to complete. And it’s cool that the riddles have their own puzzles before they can be collected, or that some can only be picked up by first switching to Catwoman, but this time around it has become a real drag. Essentially, hunting riddles feels like more work than it should. 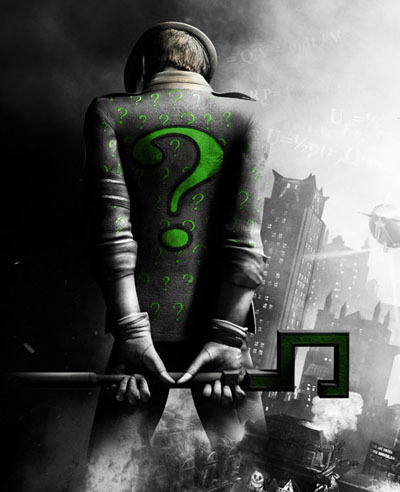 And who’s idea was it to make the Riddler sound like Max Headroom? His dialog already existed fine in the first game without the cheap stuttering effect. The open world is different but never gets very crazy. I’ve had some people tell me that they don’t think Arkham City benefits too much from the open world gameplay, and I can agree that it isn’t needed and the first game in fact excelled without it, but I don’t think it hurt too much. It retains the feel of the original most ways but just exists on a much larger scale. However, the abundance of side-quests and chatter on the radio in Arkham City are annoying at first and take some getting used to. Often you are being told to do multiple things at once and it can get overwhelming, but it is never that bad of a game breaker. Arkham City attempts to do everything the original game did but better, deeper, and in greater number. For this bulletpoint I need to admit that they mostly succeeded in this goal. All the gadgets from the first are back but more get added into the mix. The brawler and stealth combat sections feel very similar to begin with but multiple layers of complexity are slowly introduced. Adding prioritization of enemies like body armor or leaving a specific guy for last so he can be interrogated surprisingly makes the combat more interesting and more difficult. 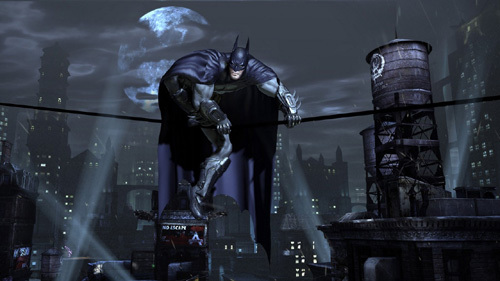 Even Batman’s basic traversal moves like gliding and ziplining have new mechanics built on top of them. As a story guy, one of the biggest disappointments of this sequel is that the plot elements that move you from one mission to the next are horribly done. Too many villains are shoehorned into a tiny story without enough motivation for being around (I think one of the developers was quoted as saying there were 5 times as many characters in this iteration). For all the advertising presence she had, Catwoman’s character is fairly unimportant and feels tacked on. In a huge surprise, Robin actually shows up, only to have a 1 minute conversation with Batman one time in the entire game and then disappear. I really don’t know what the point of it was. He seriously is like, “Hey Batman, I wanna help.” and the Dark Knight is like, “I don’t need you.” and then Robin jets. I’m just not really sure what the plot was going for. I sure hope this marketing image doesn’t convey a complex back and forth between these two characters! It’s a shame because the A story of Hugo Strange wanting to save Arkham is serviceable and his plot twist is enough to keep things interesting. What’s more, the ending with Joker is a great (if not inspired) touch. But all the little, "Ok, go here now" moments are poorly scripted. Catwoman has a whole moment of self reflection over saving Batman, the result of which consists of simply picking up a piece of concrete that was pinning Batman down. Joker enlists Batman’s aid at one point but his thugs continue to attack you anyway. There is a Mad Hatter sequence that comes out of nowhere, feels unfinished and thrown in there, and ends abruptly. All throughout there are many, many inconsistencies in character motivation and behavior that keeps the entire experience from feeling cohesive. I will say that the boss fights have mostly improved, if for variety if nothing else. The first game only had a couple different boss fights and kept spinning the gameplay gimmick to keep things fresh, but Arkham City straight up spent more time to have different combat mechanics. Fighting Mr. Freeze is a real treat and a challenge since he learns from your attacks and you need to keep adjusting your strategy to take him down. But again, the reason for that fight is meaningless. One second he is helping you, then the boss fight happens, then he is helping you again. The lack of proper motivation for all the characters makes everything feel misplaced or carelessly thrown in. Anyway, I fully admit that I am mostly nitpicking here. 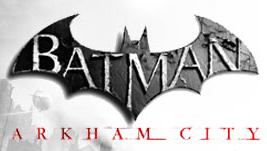 As with the mantra of WIHE, I am disappointed that Arkham City didn’t reach near its full potential; developer Rocksteady made a lot of small mistakes in my mind but I would be remiss if I didn’t say it was also a damn fun game. I still very much recommend the purchase- I just feel like the classic sequelitis trap of adding too many new villains or features or tech perhaps changed too much of what was almost already a perfect formula.